Highlights: Absolutely Centerpunched this deer! 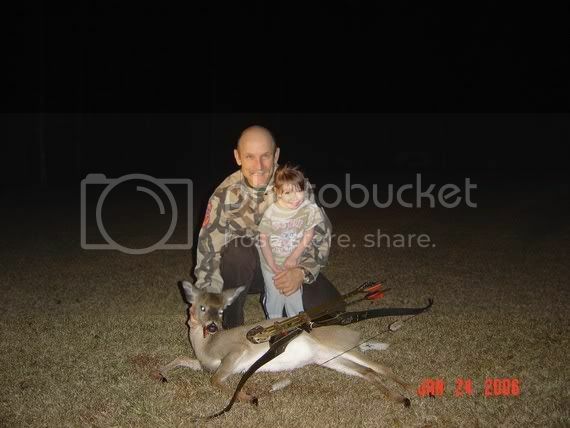 My Grandaughter stayed right there with me through the whole skinning and quartering process and fed the scraps to the dog. There's no traffic jam along the "Extra Mile"
If it's "Easy", anyone can do it! Super job! Your grandaughter probably doesn't know what a valuable experience she shared with you but you can bet someday she will. Thanks for sharing. Congrats Emile! That is sweet as! Good Job Emile! I don't know who has a bigger grin on their face! Congrats Emile,like Todd,I can't tell who is more tickled!! You are blessed! Great job!